Get cozy with this ultra soft faux fur throw designed in a classic ribbed style on both sides. The chic blue colour gives a casual luxurious touch to your decor whether you throw it over your bed ready to grab for an afternoon nap or curled up on the couch with a good book or movie night. Made from an easy care polyester material that is machine washable, making it perfect as a light layer of warmth and fashionable decorative accent throw for any room in your home. Go for a neutral toned base with this padded comforter and pair of decorative pillowcases. Picture this set as a backdrop that lets you be totally original, while displaying your personality. You can add decorative pillows in "punchy" or tone on tone colours whatever inspires you! 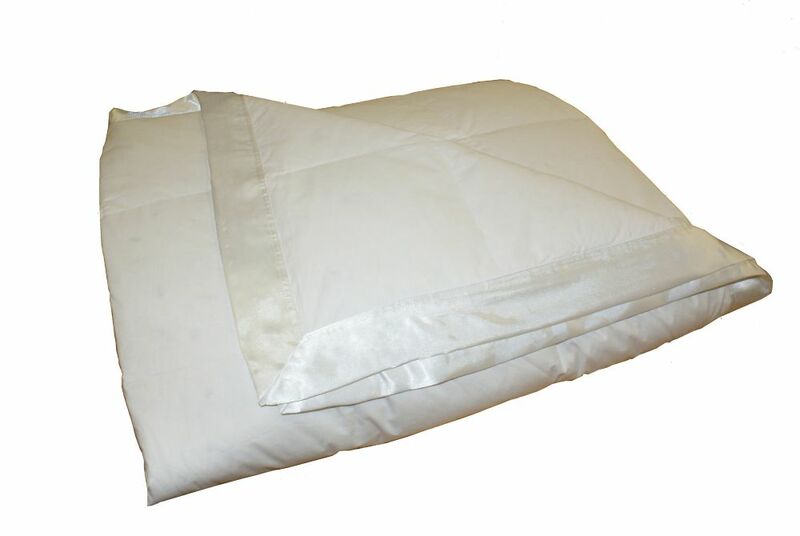 Down Blanket, Heavy weight, White, F/Q20 Royal Elite Select White Down Blanket with 100% down-proof cotton shell. Available in 2 weights and 4 fashionable colours. Sizes and Weights: Four Season Weight: Twin - 66 x 90" - 9 oz, Full/Queen - 88 x 90" - 14 oz, King - 108 x 88" - 16 oz. Winter Weight: Twin - 66 x 90" - 13 oz, Full/Queen - 88 x 90" - 20 oz, King - 108 x 88" - 23 oz.